In the 10 years that have passed since Missoula adopted its last Downtown Master Plan, the district has attracted more than $800 million in investment. New parking structures have been added, along with lodging, student housing and a handful of growing businesses with precious jobs. The parking district added new meters driven by modern technology, and several downtown streets were altered to accommodate bikes and pedestrians. 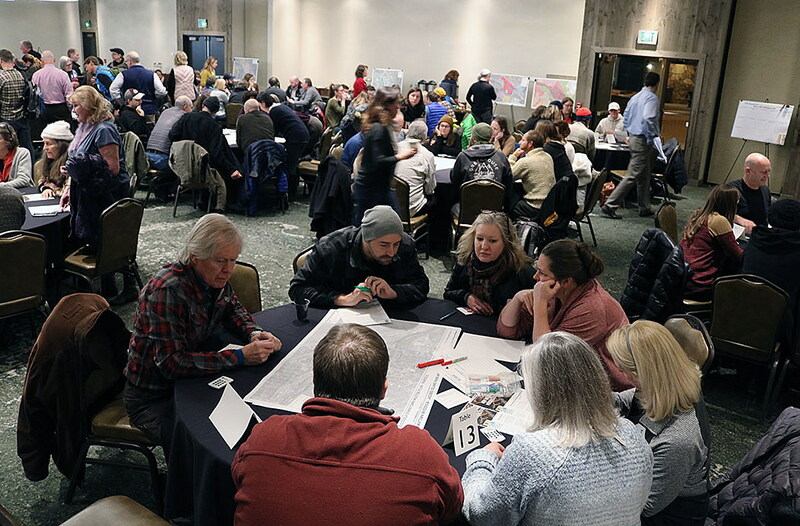 McCarthy, executive director of the Missoula Downtown Partnership, opened a design session Monday night as the district crafts its new 20-year plan. The process began in October and is scheduled to finish this fall. 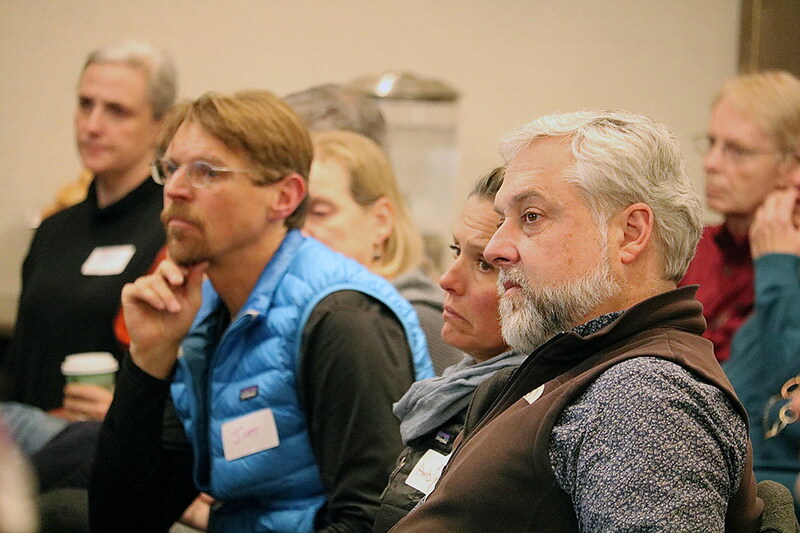 To get there, a team of engineers, planners and national experts in “new urbanism” have set out to gather input on what the future of downtown should look and feel like in the coming years. More than 200 people attended the opening session on Monday, offering 200 different opinions. It will be up to Dover, Kohl & Partners to distill the information and look for common themes. Ninety-eight percent of those surveyed in an earlier poll believe the new plan should prioritize housing. In the same survey, 88 percent said it was important to encourage green building opportunities while 84 percent said jobs were important. Visions of sustainability, connectivity, density and walkability will likely emerge as fundamental goals as the district grows. Missoula will continue its city evolution and the plan will help guide that growth and development over the coming decades. The planning team has already developed three scenarios for growth in Missoula, including the status quo. Changing nothing would likely drive housing further west and continue the region’s high housing costs and transportation headaches. Placing new development near existing services and boosting public transit, trails and walkability remains a city priority. During Monday night’s design session, residents brought their own vision for the downtown district. Nearly all had an eye on parking, including structured parking off the Hip Strip. Some sought improved pedestrian access, an allowance for taller downtown buildings, or better play off the Clark Fork River. Residential development, public transit, public art, and improved circulation were also mentioned. Charlier also questioned the future of the vacant federal building and how it might be redeployed for another use. Vacant parking lots will likely fill with new development, and housing will remain a key priority. On Monday night, as residents gathered around tables and detailed their visions for downtown, the Seattle City Council also began its own plan allowing for denser buildings and housing. The Seattle plan would place affordable housing requirements on developers building in certain neighborhoods. Missoula’s new downtown master plan is pacing alongside the city’s new affordable housing policy. Many will be watching to see how the two marry up in the end. The consulting team will hold open design studios all week at the Public House in downtown Missoula from 10 a.m. to 7 p.m.